What does this mean for your business? It simply means that now is the perfect time to plan your Facebook marketing strategy for the coming year! 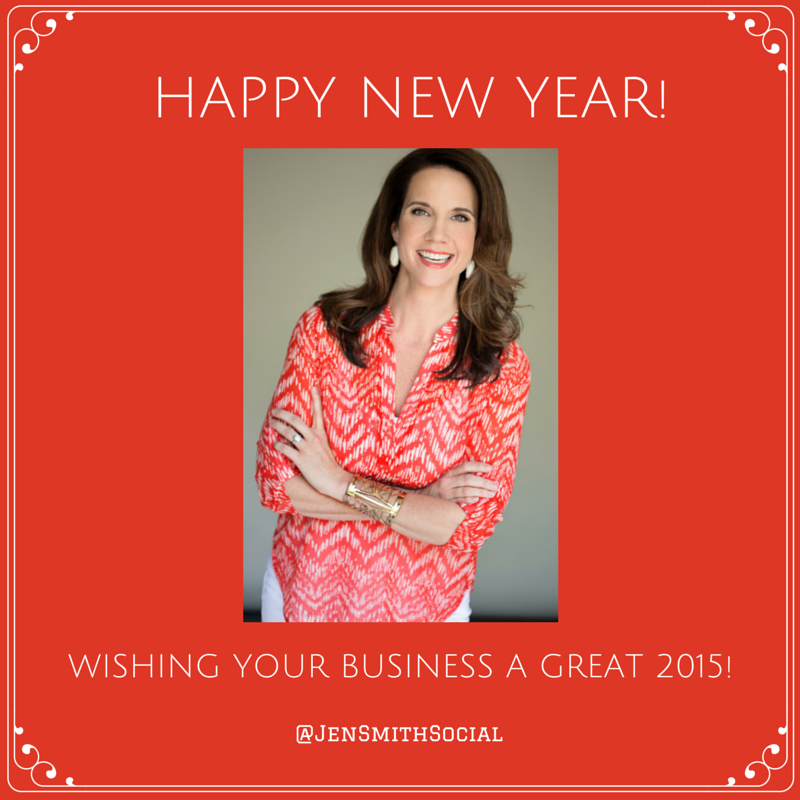 As a year-end post, I have created a checklist for you to help organize social media activity and welcome 2015. What kind of posts get the most engagement? If you’re not checking your Facebook insights to understand this- start there. Insights will allow you to review your most successful posts for the past year. You can repurpose the good content and recycle, or spin-off and develop a new strategy. A good content marketing plan is supposed to be a journey of learning. Valuable information is what keeps your followers sticking around and coming back to your page. Plan out a series of topics about your business that will help people. Provide value and you’ll have a customer for life. People in general have short attention spans… So it’s better to write short, meaningful words, blog posts and status updates. Use shorten URLs with bit.ly or another link shortening tool and avoid hidden messages. Aside from images, there are all kinds of content you can leverage for your Facebook page. Videos are the #1 most engaging type of content – use them for client testimonials and to showcase How-To videos of your products. You can also share links to other types of content that your fans and audience might like. If you created your Facebook page years ago, go back and make sure your profile is up to date. You’ll want to make sure that ALL of the fields are completed. This will make it easier for your audience to find you on Facebook and when doing Google searches. If you have a physical store, make sure to include your business address so a map can be generated on your About Page. Headlines like ad headlines, blog post titles, image text descriptions and video titles should serve one purpose: to catch the attention of your fans. Fans have so much noise in their newsfeed and with the new Facebook algorithm updates coming in 2015, you’ll want to create a headline that is going to STAND OUT! To maximize engagement, ask your fans to share their opinions. Allow polls which will encourage people to choose their own answer. You can also ask a question in your status updates that encourage people to answer – therefore, increasing engagement on your page. To get your ideal leads, you must have the right offer. Study your market well and think of a specific digital tool you can create that fans can’t resist. Think about creating a free e-book, a digital guide or a video series that not only helps fans, but promotes your brand. People tend to shy away from the data. I get it…most people hate numbers. But without this knowledge, your page isn’t ever going to perform at it’s optimal level. 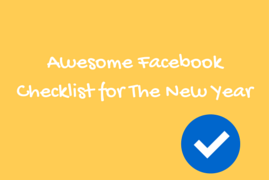 I sure hope this list helps you get smarter about the way you are using Facebook to market your business and wish you luck for you and your business in the new year. Happy New Year to you and wishing your business prosperity in 2015!